MARYSVILLE, Wash. – Recognizing that early exposure to career options after high school is becoming increasingly important for student success, the Marysville School District, in partnership with the region’s leading educational institutions, civic organizations, and businesses, is hosting the fifth annual Opportunity EXPO on April 19. The “My Future, My Choice” EXPO is a dynamic college and career-ready event for students across Snohomish County. The EXPO provides students with direct access to 2-year and 4-year colleges and universities, technical and trade schools, and military and civic organizations. Students also have the opportunity to meet and network with community leaders from business, government, and non-profit groups throughout Washington State. This year’s sponsors include the Tulalip Tribes, Everett Community College, Washington State University North Puget Sound at Everett, Everett University Center, Junior Achievement of Washington, Marysville Tulalip Chamber of Commerce, and the Marysville Rotary and Rotary Education Foundation. The Opportunity EXPO will be held at the Everett Community College (EvCC) campus and includes tours of EvCC’s new Advanced Manufacturing Training & Education Center (AMTEC), a visit to the home of EvCC’s Health Sciences programs, and campus-wide tours, giving student’s a greater understanding of the many opportunities available to them. “We are committed to ensuring every student sees the many opportunities provided to them as they consider their path after high school, said Marysville Superintendent Dr. Becky Berg. “Students need to know success is ready and waiting for them to grasp. We are thankful to Everett Community College and our dedicated local community organizations for their ongoing work to show our students that anything is possible. As part of our Strategic Directions; the EXPO prepares graduates for economic and social realities by equipping them for future education, career, and citizenship in our globally-connected communities”. All high school Juniors in Marysville and Tulalip will be bused to the EvCC campus on April 19 to attend one of two sessions. More than 100 colleges, career, technical and trade vendors, as well as business, community service and military representatives will be present. Schools and companies interested in participating or sponsoring the event should contact Jodi Runyon at 360-965-0001 or Jodi_Runyon@msd25.org. 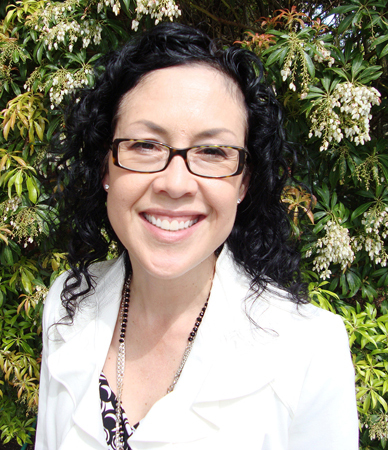 EVERETT, Wash. – Everett Community College has hired María Peña as the college’s chief diversity officer, a new position created to lead the college’s efforts to create and sustain a climate of diversity and equity. Peña, of Mill Creek, brings 23 years of higher education experience to EvCC. Previously, she served as dean for Student Services and assistant to the president at Peninsula College. She also assumed leadership responsibilities as the steward of the Peninsula College longhouse since its creation in 2006. Peña began her community college career as a faculty counselor at Peninsula. She served in progressively responsible leadership positions, including lead administrator for Disability Services, retention advising specialist, associate dean for Student Success and dean for Student Development at Peninsula. She has also worked at the executive level, having served as acting vice president for Student Services at Peninsula. Peña has a master’s degree in Educational Psychology from the University of California, Los Angeles. She earned her bachelor’s degree in Social Ecology with an emphasis on Human Behavior from University of California, Irvine. Peña also has extensive international experiences, including studying in San Sebastian and Madrid, Spain. EvCC’s Diversity & Equity Office advocates for the academic success of EvCC students, educates the campus and community about diversity and celebrates our differences. For more information about EvCC’s Diversity & Equity Office, visit www.everettcc.edu/diversity or contact Peña at mpena@everettcc.edu. James Madison stands next to his “Transformation of the Seawolf” sculpture in downtown Everett. 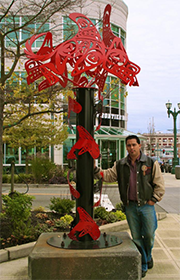 EVERETT, Wash. – See traditional and contemporary Native American artwork by renowned Tulalip Tribes artist James Madison and family members at Everett Community College Feb. 10-March 14. The “Generations 2” exhibit at EvCC’s Russell Day Gallery will feature traditional Salish and Tlingit artwork in contemporary mediums such as glass, bronze and stainless steel. See the artwork and watch a performance by Native American dance troop Northern Star Dancers at a reception at 6 p.m. Feb. 13 in the gallery. This is the second family exhibit that Madison, a Tulalip Tribes member, master wood carver and art consultant, has created. It represents the work of Madison, who attended EvCC, his sons Jayden and Jevin Madison, father Richard Madison, grandfather Frank Madison, Sr., uncle Steve Madison and cousin Steven Madison. The Madison cousins grew up immersed in their culture and learned to carve at their grandfather’s table. Richard Madison, an abstract painter, taught James contemporary art mediums and how to understand European artwork when he was a child. Many of James Madison’s large-scale pieces can be seen at the Tulalip Resort and Casino, including a 24-foot story pole. His work has been displayed in Washington, New York, New Mexico and Canada, including in downtown Everett and at Everett Community College, and on the TV show “Grey’s Anatomy.” He was named Snohomish County Artist of the Year in 2013. He earned his bachelor’s degree in fine arts at the University of Washington and created a bronze sculpture for Husky Stadium. The Russell Day Gallery is open 10 a.m. to 5:30 p.m. Mondays and Wednesdays, noon to 4 p.m. Tuesdays and Thursdays and 10 a.m. to 2 p.m. Fridays and is closed Saturdays and Sundays. For more information, visit www.everettcc.edu/gallery or contact Kammer at gkammer@everettcc.edu. 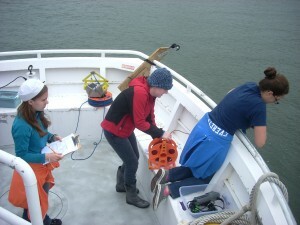 Everett Community College Ocean Research College Academy (ORCA) students collect water samples. EVERETT, Wash. – Everett Community College’s Ocean Research College Academy (ORCA) will host an open house at 6 p.m. Jan. 30 at its waterfront location, 1205 Craftsman Way, Suite 203, in Everett. Visitors and prospective students can see student work, meet faculty members, learn about the program and see the facility, including the oceanography research lab and 120-gallon seawater tank. ORCA students conduct research in the Snohomish River estuary and students have the opportunity to present their work at regional and national conferences. Student work on display at the open house will include heavy metal legacy in Possession Sound and river otter abundance and distribution. ORCA is an early college academy for high school students, who can earn up to two years of college credit while completing their high school education. Most students graduate with an associate’s degree in addition to a high school diploma. The program is the only early college academy of its kind in the country. ORCA uses the local marine environment as the unifying theme for all academic disciplines. ORCA is sponsored by EvCC and was initially funded by the Bill and Melinda Gates Foundation. The academy was recently awarded two National Science Foundation grants, including one for the construction of a 34-foot research vessel. 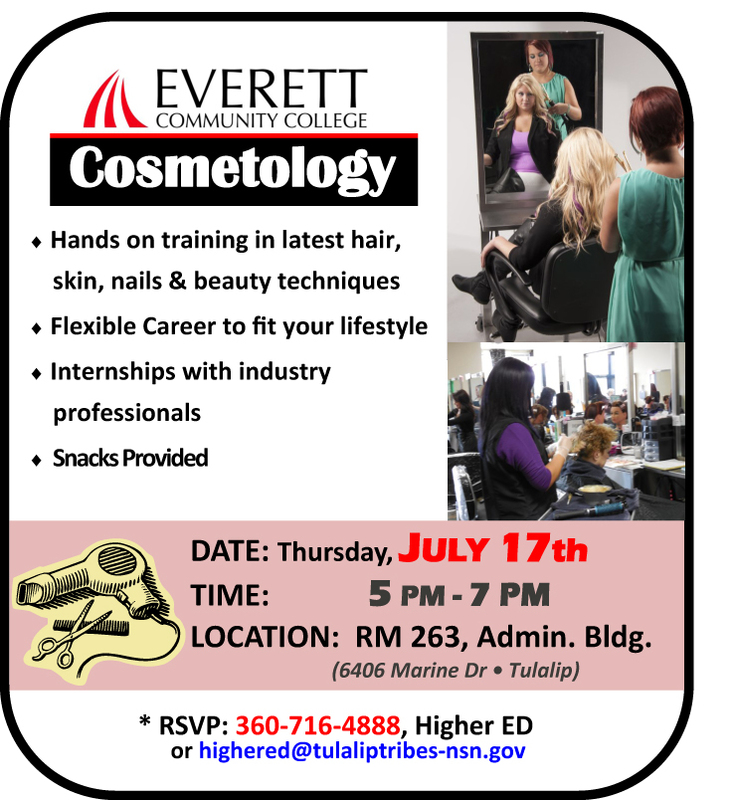 For more information, contact ORCA Executive Director Ardi Kveven at 425-267-0156 or visit www.everettcc.edu/orca. Snohomish County Executive John Lovick was raised by his grandmother in this house in Robeline, La. It had no running water when Lovick was a child. He was 12, old enough to know what it meant. “Dr. King’s speech, frankly, it was a turning point in my life,” Snohomish County Executive John Lovick said last week. 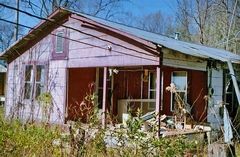 Lovick grew up in the tiny town of Robeline, in Louisiana’s Natchitoches Parish. He was raised by his grandmother, Elsie Lee Lovick. A mother of 11, she had picked cotton and scrubbed floors to support the family. Their house had no running water. Robeline was far from Washington, D.C., where on Aug. 28, 1963, tens of thousands of people joined the March on Washington for Jobs and Freedom. The march ended with Dr. Martin Luther King Jr.’s history-making “I Have a Dream” speech at the Lincoln Memorial. Many Americans watched the landmark events of the Civil Rights Movement in their living rooms. Lovick didn’t have that luxury. “We didn’t have a TV. We would hear about it, or listen to the radio. Obviously, we knew these things were going on,” said Lovick, 62, who lives in Mill Creek. Snohomish County Sheriff John Lovick speaks to the media about his intention to seek appointment to the position of Snohomish County Executive in front of the Snohomish County Courthouse Monday morning. For a child in a segregated school, in a region that was ground zero in the struggle for racial equality, King was a towering figure. “There were conversations about him in school — always Dr. Martin Luther King. He was the one black public figure you could really see,” Lovick said. As Snohomish County’s top public figure, Lovick will join in a celebration marking the 50th anniversary of King’s speech at 6 p.m. Wednesday at Everett Community College’s Jackson Center. Everett Mayor Ray Stephanson, former Everett City Councilman Carl Gipson and Tulalip Tribes Chairman Mel Sheldon are also scheduled to speak at the free event. Lovick said that as a boy in Louisiana, “not in a million years did I imagine I’d be executive of a very large county — that level of success.” Yet he took to heart a message brought forth by King’s powerful words. “As I watched him, as I listened to his speeches, he always said things were going to change. There will be opportunities. He wanted to make sure we were prepared, by staying in school, staying out of trouble,” Lovick said. “Things were very, very tough growing up down there. But there’s a future out there. 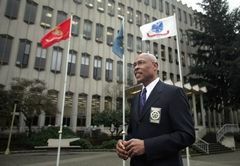 It was a message that always resonated with me,” said Lovick, who served in the U.S. Coast Guard, and as a State Patrol trooper, a state lawmaker and as county sheriff before being chosen in June to lead Snohomish County after Aaron Reardon’s resignation. The systematic segregation of Lovick’s childhood is gone, but not the hurtful memories. In all his years of school in Robeline, where Lovick graduated from Allen High School in 1968, he never had a white classmate. “It was just the way life was,” said Lovick, who remembers seeing school buses go past carrying white students. Schools in his Louisiana town remained segregated long after the U.S. Supreme Court’s 1954 Brown v. Board of Education ruling that found separate educational facilities are unequal. In 1957, King had taken a strong stand in the fight for integration of Central High School in Little Rock, Ark. It wasn’t until the early 1980s, Lovick said, that Allen High in his hometown was ordered closed by a federal judge. There was dismay in his voice as he described a visit to Robeline after finishing boot camp in 1970. “I went to a movie theater and had to sit in a segregated section — in my Coast Guard uniform. There was a sign, ‘colored,’ with a finger pointing in one direction,” he said. “That stirred up some terrible memories. During his boyhood, the Ku Klux Klan was active. Lovick said his grandmother, who died three years ago at 97, feared for his safety when he would walk home. “She was always afraid of what would happen to me. At the time, there was a lot of hatred,” Lovick said. Yet he chooses to turn away from bitterness, embracing King’s message of love and forgiveness. “Hating people is too much of a burden for me to bear,” he said. When King spoke those words — “I have a dream today” — Lovick said he was a little too young to join in demonstrations for civil rights. A free public celebration marking the 50th anniversary of Dr. Martin Luther King Jr.’s “I Have a Dream” speech will be held at 6 p.m. Wednesday at the Jackson Center on the Everett Community College campus, 2000 Tower St. Speakers include Snohomish County Executive John Lovick, Everett Mayor Ray Stephanson, Tulalip Tribes Chairman Mel Sheldon and former Everett City Councilman Carl Gipson. “The March,” a new PBS documentary looking back at Aug. 28, 1963, the day King delivered his landmark speech in Washington, D.C., will air at 9 p.m. Tuesday on KCTS, Channel 9. OLYMPIA — Washington State University has snagged $10 million in state aid to help cement its presence in Everett. Those dollars will be used to design and construct a building near Everett Community College where WSU and other universities expect to be conducting classes by next decade. The money is included in the two-year, $3.6 billion state construction budget signed Monday by Gov. Jay Inslee. WSU and its partners at the University Center of the North Puget Sound predict the number of full-time students they serve will rise from 465 this school year to 1,179 by the spring of 2021. WSU is a newcomer to the University Center but will be playing a very big role very soon. It began offering a mechanical engineering degree in 2012 and is looking to launch three additional degree programs in 2014. Moreover, WSU is on track to inherit command of the University Center from EvCC next year. There is no specific project tied to the money. In March, officials of the city of Everett, WSU and EvCC talked about constructing a 95,000-square-foot building on the parking lot of the former College Plaza shopping center which is owned by the community college. They also said the next steps hinged on securing state funds. Several area lawmakers in the House and Senate lobbied for the money on behalf of the community college and Pullman-based university. The capital budget provided funds for other Snohomish County projects as well including $2.6 million to Senior Services of Snohomish County to provide housing for homeless veterans; $1 million to the Snohomish County Sheriff’s Department toward a substation in south county; $750,000 for drainage improvements on Prairie Creek in Arlington and $1 million toward preservation of Japanese Gulch in Mukilteo. EVERETT, WA – Everett Community College will celebrate graduating students and honor outstanding graduates at the EvCC 2013 Commencement at 7 p.m. June 14 at EvCC’s Student Fitness Center. Doors open at the Student Fitness Center, 2206 Tower St., at 6 p.m. Admission is by ticket only. EvCC’s Henry M. Jackson Conference Center will be available as an alternate viewing location for those without tickets. For the first time, graduation will also be streamed live on the web from 6:30 to 9:30 p.m. June 14. Go to www.everettcc.edu/graduation and click on watch graduation live. In 2012-13, more than 2,200 students will graduate from EvCC with a degree or certificate. About 350 students are expected to participate in commencement including student speaker Raven Conyers. Conyers, a 2011 Cascade High School graduate, was diagnosed with Guillain-Barrè syndrome at age 16. The muscle disorder left her with nerve damage in her hands and feet. Since then, she’s had a strong interest in learning about how the human body works. At EvCC, Conyers has been involved as a student leader, serving as the Diversity and Intercultural Awareness Coordinator for 2012-13 and as a student senator. She was a member of the Achieve the Dream Start to Finish committee, Student Involvement committee, Awards Banquet committee, Safe Zone committee and Appointment Review committee. She graduates from EvCC with an associate in arts and sciences degree and is transferring to Washington State University to major in biochemistry and pre-pharmacy with plans to become a pharmacist. EvCC will also honor 24 outstanding graduates chosen by faculty. (See below). Outside food and drinks, helium balloons, strollers, car/baby seats, tripods and air horns are not permitted in EvCC’s Student Fitness Center. Limited reserved ADA seating and wheelchair accessible seating will be available. For hearing impaired guests and graduates, sign language interpretation will be provided, and FM machines will be available at the Guest Services Counter at the main entrance. For more information, visit www.everettcc.edu/graduation or contact Jennifer Rhodes, director of EvCC’s Student Activities Office, at 425-388-9509. Faculty members nominate and select outstanding graduates in each of the college’s instructional divisions. Outstanding graduates are recognized with an “Honor for Excellence” gold medallion and a certificate of award. Kathy L. Bansen, Medical Transcription, Big Pine Key, Fla.
EVERETT — The 21st annual Hibulb Powwow is planned at Everett Community College on Saturday, featuring traditional American Indian dancing, drumming, singing and arts and crafts. The theme for the event is “Keeping our Traditions Alive.” It is to be held at the college’s Fitness Center, 2206 Tower St. in Everett. “The powwow honors cultural survival and the perseverance needed to celebrate and maintain Native identity into the 21st century,” according to a statement from Paula Three Stars, EvCC’s 1st Nations Club adviser. The event is free. Everyone is invited. 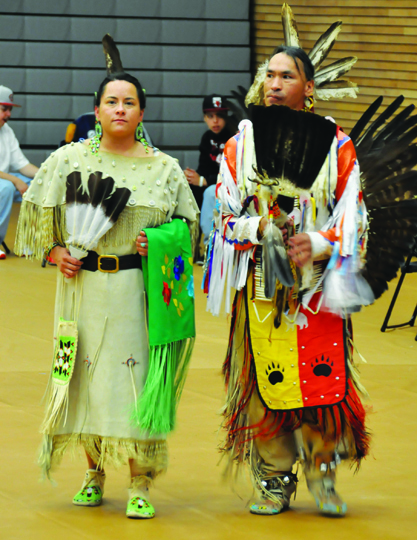 This year’s head dancers are Reuben Twin, Jr., and EvCC student Christine Warner. The master of ceremonies will be Arnold Little Head. Tony Bluehorse will serve as the arena director. The host drums are Young Society and Eagle Warrior. The Hibulb Powwow was founded in 1990 to honor American Indian ancestors who once lived near the mouth of the Snohomish River. Hibulb was the stronghold of the Snohomish peoples who thrived at the site just below Legion Park in Everett. Hibulb had an estimated population of 1,200 and was once the largest trading center in the Pacific Northwest. Descendants of the people of Hibulb live today in the neighboring community of Tulalip, and on other nearby reservations representing many different tribal bands. For more information, contact Three Stars at 425-388-9281 or Matt Remle at 360-657-0940. For kids — and kids at heart: Families can see and touch emergency vehicles including police, fire, public works and other emergency and utility vehicles at Touch-a-Truck. The event is from 10 a.m. to 1 p.m. Saturday at the Rosehill Community Center Upper Parking Lot, 304 Lincoln Ave., Mukilteo. There will be arts and crafts and games for kids. Event takes place rain or shine. More info: call 425-263-8180. Tour farms: Visit farms on a self-guided tour on Saturday and Sunday. The Port Susan Spring Jubilee Farm Tour is 10 a.m. to 5 p.m. Saturday and 10 a.m. to 4 p.m. Sunday. Get all the details in our story here. Plant a gift for Mom: Children can plant pots with flowers for Mother’s Day gifts with the help of Edmonds in Bloom volunteers, 9 a.m. to 2 p.m. Saturday at the Edmonds Farmer’s Market, Fifth Avenue North and Bell Street. Suggested donation is $9. Also, a Children’s Fairy Flower Parade starts at noon at the Edmonds Library, 650 Main St. For more information, check www.edmondsinbloom.com. Take Mom sailing: A free Mother’s Day Sail is Saturday at The Center for Wooden Boats at Cama Beach State Park. There are classic wooden boats to see, and for kids, a chance to build toy boats, using hand tools and wooden hulls from scrap wood. The event is from 10 a.m. to 4 p.m. at Cama Beach State Park, 1880 SW Camano Drive, Camano Island. More info here. “Rapunzel”: See the story on stage, in a show best for ages 3 to 10. The shows are at 11 a.m. and 1 p.m. Sunday at Snohomish County PUD, 2320 California St., Everett. Tickets are $10. For more information, go to www.storybooktheater.org. For bird lovers: International Migratory Bird Day is Saturday and the Pilchuck Audubon Society is planning a host of events throughout Snohomish County. All events are free and families are welcome. A variety of field trips, walks and classes are offered. Check our story here for all the details. Hibulb powwow: The 21st annual Hibulb Powwow is at Everett Community College on Saturday. 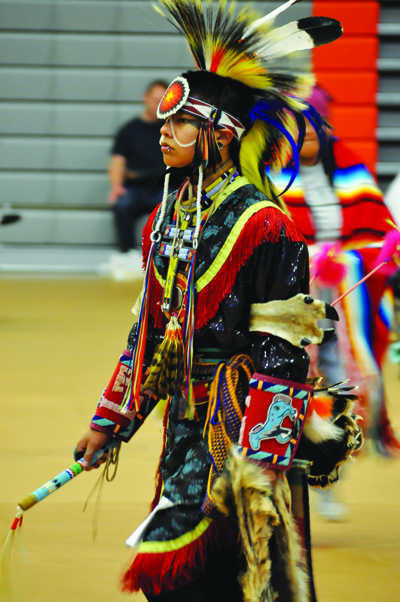 The event features traditional American Indian dancing, drumming, singing and arts and crafts. Grand entries are at 1 and 6 p.m. Find more details in our story here. Meet parrots: Kids can see live parrots and learn about their habitats in the wild and keeping them as pets. The event is for preschoolers and older. The event is at 11 a.m. Saturday at the Evergreen branch of the Everett Public Library and at 2 p.m. Saturday at the main branch of the library. Find more information here. National Train Day: The Swamp Creek and Western Railroad Association plans an open house, 10 a.m.-2 p.m. Saturday at 210 Railroad Ave., Edmonds. The SC&W has been located in the Edmonds Amtrak Station since 1977 and features more than 400 feet of HO scale track as model trains operate through a scenic layout. More info: 425-257-9343. Bake and plant sale: The Camano Animal Shelter Association plans a bake sale and plant sale fundraiser, 10 a.m. to 4 p.m. Saturday at the Camano Multi-Purpose Center, 141 East Camano Drive. Stop by for hot dogs, water and free coffee and shop for delicious desserts and indoor and outdoor plants. More info: www.camanoanimalshelter.org or 360-387-1902. Nature fair: The Watershed Fun Fair is from 11 a.m. to 4 p.m. Saturday at Yost Park, 9535 Bowdoin Way, Edmonds. The fair will feature guided nature walks, nature crafts and activities especially for kids. The event features exhibits and information about Puget Sound stewardship, stormwater, fish and wildlife, backyard habitat, recycling, energy and water conservation. Wine walk: A wine walk with thrift store gift shop bargains is from 4 to 7:30 Friday night in Snohomish. Click here for more details. Free for moms: In honor of Mother’s Day, admission is free for all moms at Imagine Childrens Museum in Everett on Sunday. Amazing acrobatics: Watch acrobats leaping between tall poles, contortionists, flexible performers doing handstands on high human pyramids and stacked chairs 20 feet high at Cirque Zuma Zuma on Sunday at Comcast Arena. Read our story here for the details. For art lovers: The Camano Island Studio Tour, featuring 48 professional and amateur artists, 34 studios and three galleries, kicks off its 15th anniversary year this weekend. A tour runs Saturday and Sunday, and next weekend also. Get the details in our story here. In honor of strong women: The town of Langley is putting on a celebration this weekend that pays tribute to strong women of the past and today’s mothers and daughters. On Saturday, women suffragettes will march at 11 a.m. in downtown Langley, followed by street theater to celebrate those who fought for women’s right to vote. For more information, call 360-929-9333 or go to www.mainstreetlangley.org.